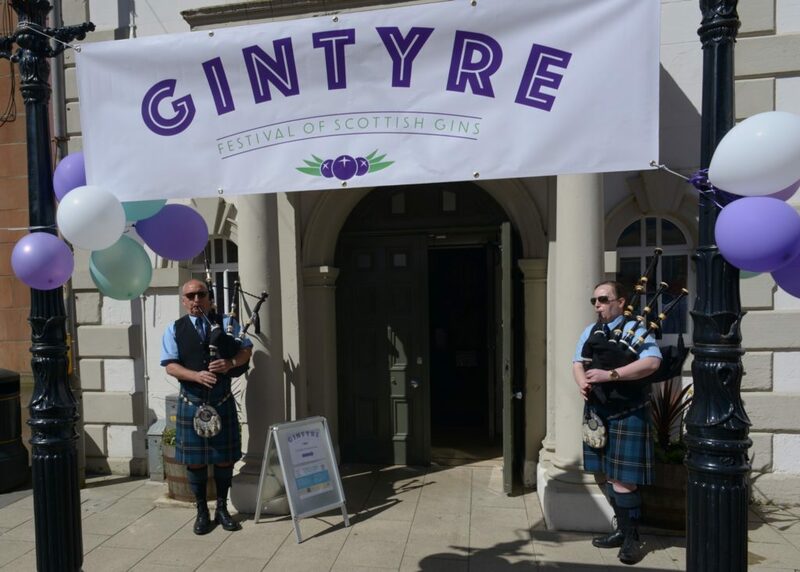 A Campbeltown hotelier served 50 diners gin themed food at the inaugural Gintyre. And she could have served more than double that number but chose to retain an intimate setting. Last Friday evening, Ardshiel co-proprietor, Flora Grant, a regular advertiser with Wyvex Media Ltd which owns the Courier, Oban Times, Argyllshire Advertiser, Arran Banner and Scottish Field, praised the paper’s pre-Gintyre coverage. There was a heady fizz the next day at Gintyre’s Saturday headliner. 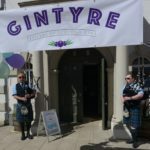 Campbeltown town hall was packed for four hours, from 1pm to 5pm, as a sell-out crowd of 200 sampled spirits from gin producers: Colonsay’s Wild Thyme, Arran, Harris, Kintyre, The Isle of Jura’s Lussa, Old Raj, Pixel from Ballahulish, Tenacious and Skye’s Uisage Lusach. 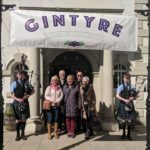 A spokesperson from South Kintyre Development Trust which owns Campbeltown town hall said: ‘The town hall team working behind the scenes have been amazing and they’ve all worked so hard, staff and volunteers. Niall Macalister Hall of Beinn an Tuirc, distillers of Kintyre gin said: ‘It was a sell out on the main tasting day. On Saturday evening the Courier spoke to a group of eight, from East Kilbride, whose trip to Gintyre was their first ever to the peninsula. They praised many features including Campbeltown Picture House. The Sunday afternoon matinée showing of black-and-white classic, Casablanca, attracted 95 people to the cinema. One of the most famous lines from the film features ultra cool bar owner Ricky Blaine played by Humphrey Bogart speaking about his old flame Ilsa played by co-star Ingrid Bergman.